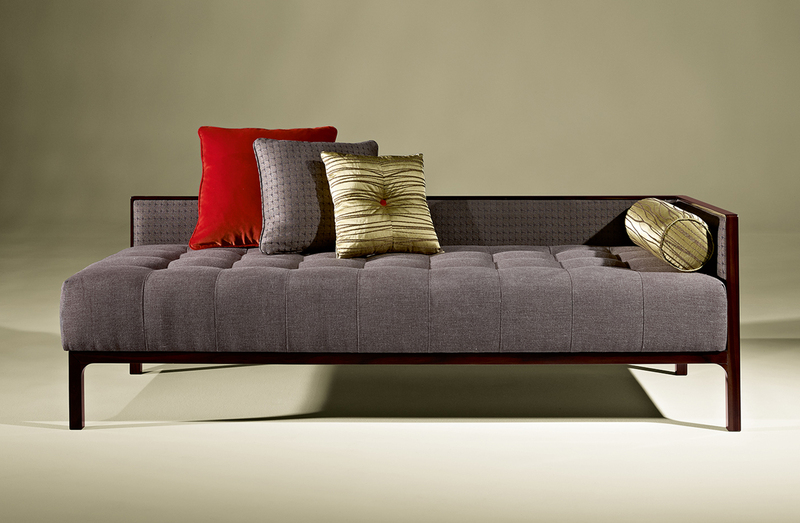 Chaise with wood or lacquered wood structure, tufted seat cushion. Please see ADDITIONAL SPECS for available wood finishes. See ADDITIONAL SPECS for available wood finishes.